3) To improve the lives of the mostly single mom employees. As founders and life partners, Frank & Cynthia share a similar backstory beginning with their respective grandparents. Ironically, both sets immigrated into the US with next to nothing, became cleaners and eventually changed their families’ futures as a result. Frank & Cynthia both understand what it’s like to have the entrepreneurial spirit, and how to channel that energy into creating your own destiny. The first step is the hardest. That’s where they step in to help. Thirty years ago, they went directly into the franchise sector from graduate school. Among many achievements, they owned and operated Domino’s Pizza in South Carolina & New Jersey. The New Jersey location repeatedly ranked in the top 20 out of over 7,000 Domino’s Stores at the peak of their season each year, and secured a spot in the elite Top 5 on two occasions. Desiring better work-life balance, they sold their Domino's franchise and began researching opportunities to leverage their experience to founding a national franchise. After intense deliberation, they resolved that the cleaning sector presented the greatest opportunity due to its deep fragmentation with few regional or national brand leaders. The bottom line: there was no McDonald's for this industry. As a result, every area is wide open and well-positioned for You've Got MAIDS to be the market leader. Combined with exciting unit level economics unique to service-based businesses, the flagship location was created in Orlando in 2005 and expanded to Charleston before giving birth to the first You’ve Got MAIDS franchise in 2010. 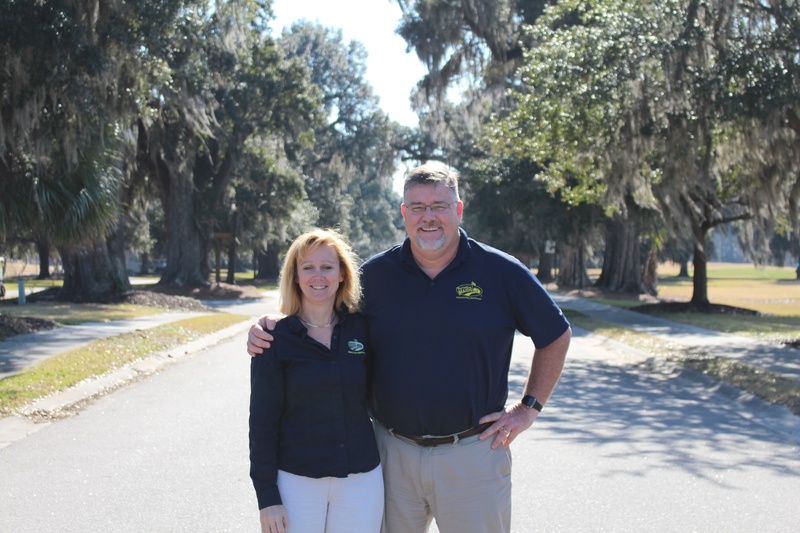 In a few short years, Frank & Cynthia have opened more than 50 locations stretching from coast to coast. Every detail of You’ve Got MAIDS was carefully created to gain and maintain the target clientele, from the legendary logo, sticky slogan to the memorable maid mobiles. All were developed by one of the country's leading brand builders. Our founders operated the flagship offices and now run the company daily. They personally train each new franchise partner and proudly provide unlimited, one-on-one sales, marketing, and management coaching. The key ingredient beyond that is you. Are you ready to control your financial future?